Trying to decide if I should put 27 in mega mayhem's on my stock wheels put 28's on my stock wheels or get some 28x14's on nice wheels recommendations? I went with the 28" Mega Mayhems on 12" blacked out rims rims and love them. I like the extra ground clearance I get with the 28" as well, not banging so many rocks on the trail getting to the mud. One thing that I am sure you have heard lots about, the Mayhems do not measure close to the spec size claimed. My 28" mounted and inflated measured out at barely 27" tall and that was brand new and before installing on my ATV (so before they squated a bit under the weight). Also not sure what year you have, but on my 2016 Outlander the 28" Mega Mayhems brought my speedometer / odometer to bang on accurate. Good 'ol BRP doesn't have the best calibration equipment apparently. I verified mine at 100km/h on flat level ground with radar and with the Mega Mayhems my actual speed was exactly 100km/h. Just FYI, added bonus to the 28". 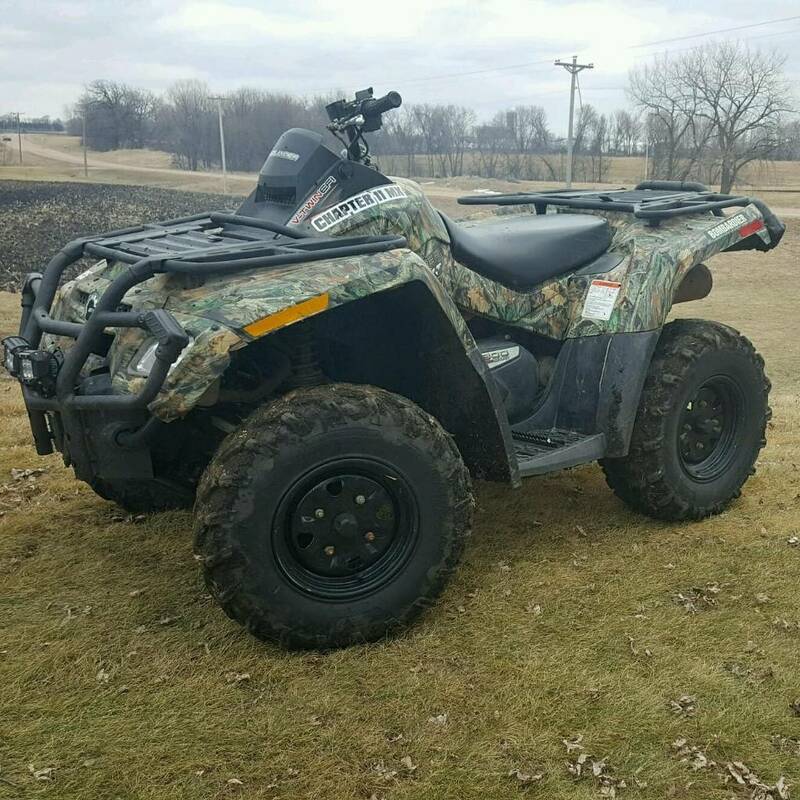 2016 Can-Am 850 XT (camo) with full BRP metal skid-plates, Can-Am front diffuser (camo) with "high" windshield and mirrors (for colder season riding), Kolpin IV transport camo gunboot (custom mounted), 12 gallon LinQ box, Kolpin XL gear grips (custom mounted to LinQ brackets), Dalton DBO850 clutch kit, Garage Products full bushing replacement kit, fuel line breather vent "Y" installed (same as XMR), water pump tube extended up to the gauge cluster, CVT exhaust snorkel to gauge cluster, ECM relocated, intake breather extension, Titanium exhaust wrap on the headers to just past the 2 - 1 connection, Dynamat Xtreme added to exhaust heat shield, synthetic Amsteel 4500lb winch rope, WARN hawse fairlead, WARN wireless winch remote, 28" ITP Mega Mayhems. Having owned the Mayhem's previously I would go with the 28" version on 12" wheels if possible. I liked the look of the 12" wheel 28" over the 14" wheel 28". If I had to pick again though I probably would run Zilla. The Mayhems run really narrow. I had the Mayhem's also. Definitely go with the 28's. They run small. BUT this is a huge but. I personally did not like my Mayhem's. They look awesome. But they are real hard rubber compound. So they did not do very well in sand, rocks, and fallen trees. Hope this helps. If I was looking for a similar tire I would look at the Zilla's. I sold my Mayhem's after 3 rides. 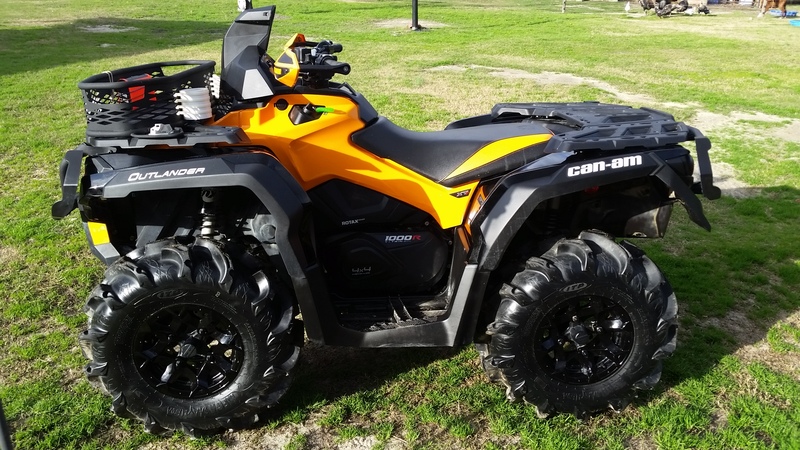 -2016 Outalander XT-P 1000, Can-Am Snorkle, 30 inch Blackwater EVO's, Rev-X Primary Clutch, LINQ Basket and 12 Gal Cargo Box, Tiger Tail, 2 inch lift. Last edited by Backfire1; 04-23-2017 at 09:23 AM. I agree with the above two replies, they do run a bit narrow and the rubber compound is very hard. For me I do not mind the harder rubber compound as I have to run logging roads to get to where I play. I don't notice the traction being much worse on rocks then a similar style mud specific tire, yes these are loose handling on hard surfaces (but that can be more fun too....) I also don't mind the harder rubber compound as the mud around here has tons of jagged rocks once you dig through the silt and I have not torn or gouged any of the tread blocks yet despite having a few hard grabs occasionally. If I were to buy again I think I would still try a different tire as these are crazy heavy and you will feel it in acceleration, braking, turning and the overall balance of the tires. 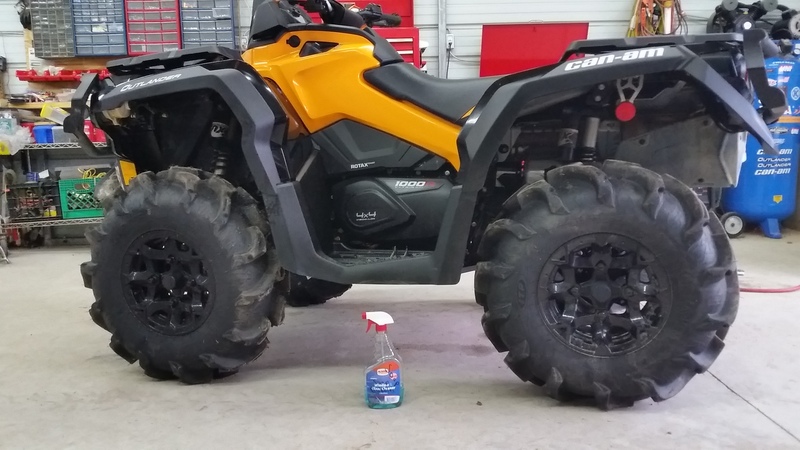 I put in twice the recommended amount of tire beads to balance these things out so that my entire ATV and body aren't shaken numb when givin' er down the logging roads. Any speeds under 25km/h and you won't notice. 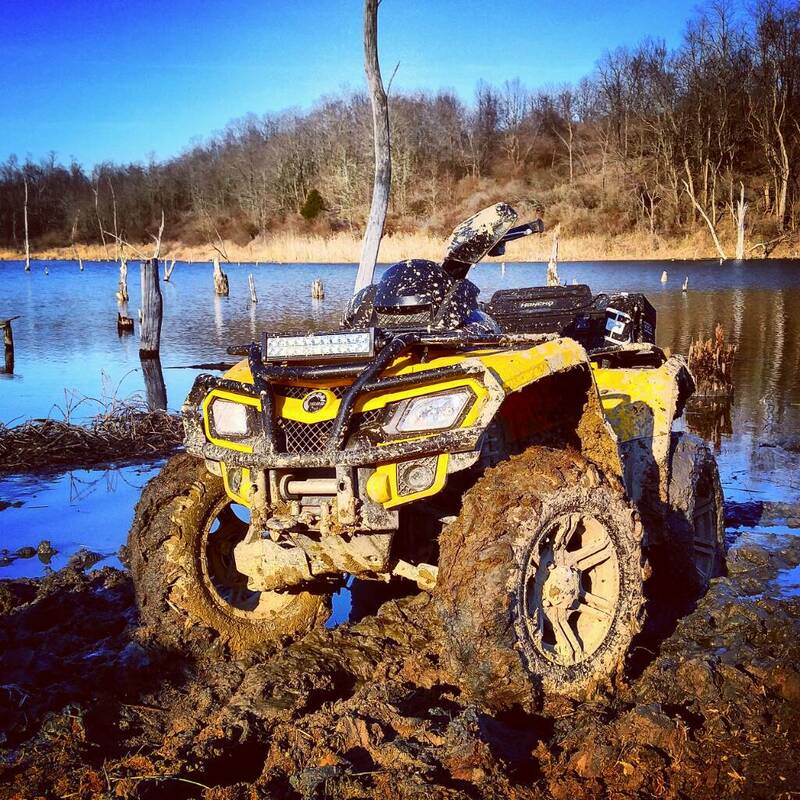 Also be aware that these tires DIG hard and fast, any soft surface and you will dig some serious ruts into it, you do also go forward but if you are riding the more bottomless type mud then get something that will paddle way better then these. The mud I ride all has rocky bottom so these get me through the layer of mud quick and down to the rocks for traction. I'll second most of what's already been said. My 28' Mega Mayhems are 3 yrs old with little wear and I spin the rears whenever I'm on it. Yes, they measure small and are narrow but I don't find them all that heavy for a mud oriented tire with large lugs. 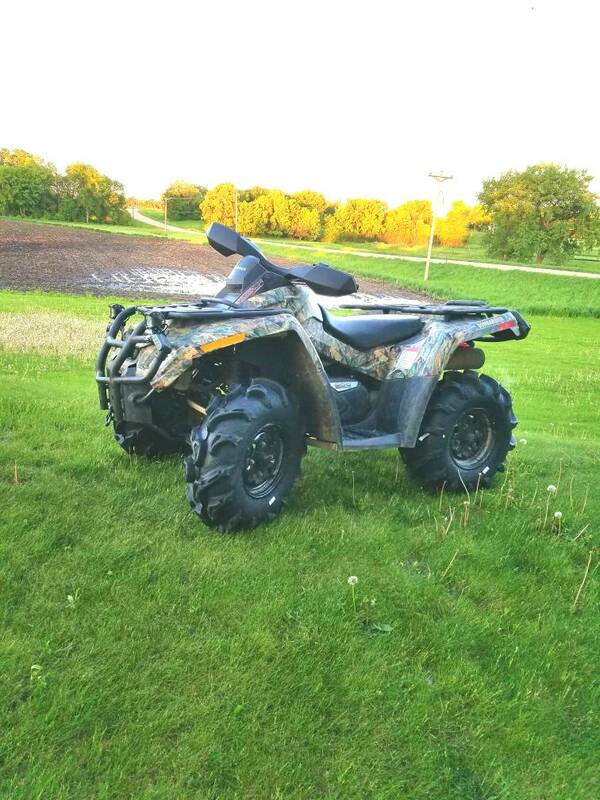 They are a good compromise between a mud/trail tire. The only time I've been let down by them is in snow....they like to dig in til they find traction. They'll pull you out once they can grab something...if you haven't already gotten hung up. I doubt they'd be much good in sand, either. whatever you get, I would recommend 14"rims for the added clearance bwteen the rims and brake calipers.